Scotland, widely known as Europe’s off-shore energy capital, is certainly ahead of the game in their adoption of renewable energy systems and investment in clean energy. There are countless alternative energy projects currently underway in Scotland, from harnessing wind and tidal power to exploring and developing hydrogen fuel sources. In fact, over 80% of Scotland’s energy potential is generated from clean sources such as wind, wave, and tidal power, making the country a true leader in clean energy production. In recent news, the Aberdeen City Council gave the go ahead on an exciting project that will put Scotland in the spotlight once again for their progressive stance on alternative energy. 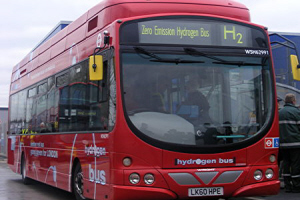 The goal of the project is to develop hydrogen-powered buses in Aberdeen, and it is expected that 10 of these buses will be operating on First Group and Stage Coach bus routes by the time the first phase of the project is completed in the year 2014. There are also plans in the works for developing Scotland’s largest hydrogen fueling station to help power the buses and hydrogen powered cars as they begin to enter the market. One of the major perks of the buses is that they will produce water vapor instead of carbon monoxide and other harmful emissions, effectively reducing their carbon footprint. As part of this project, the Scottish & Southern Energy Power Distribution (SSEPD) has partnered with a clean energy business, to develop a system to produce and store hydrogen fuel in order to power the buses. Like electricity, hydrogen needs to be produced through a primary energy source. It can be generated in several different ways, but the most common and currently most efficient, is through the use of hydrocarbons from fossil fuels. SSEPD and BOC are exploring alternative means of production through harnessing wind power, which currently produces an unprecedented 40% of Scotland’s electricity. If they are successful in producing hydrogen fuel by means of wind power, they have the potential to vastly reduce Scotland’s dependence on fossil fuels and improve their energy security. Scotland would be at the forefront of a major breakthrough in renewable fuel technology. A total of £3.3 million has been invested into this project thus far, with contributions from the Scottish government and Scottish Enterprise. Other project partners include Scottish & Southern Energy (SSE), First Group and Stage Coach bus services, Aberdeen Renewable Energy Group, Ballard Power Systems, SSEPD, and BOC. While £3.3 million may seem like a hefty sum for 10 buses and a refilling station, the project has the potential to have massive pay-offs for the Scottish economy and the British energy market. If the project is successful, it is expected to stimulate additional hydrogen fuel projects which will surely attract significant investment and produce countless jobs in the Scottish clean energy sector. One expert predicts that the energy market in Great Britain will have an approximate value of a whopping £ 1.2 billion by the year 2020. 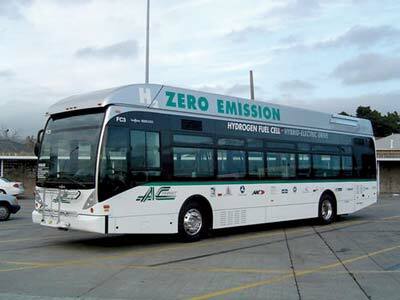 Given Scotland’s progressive stance on clean energy, the hydrogen fueled buses are really a natural fit for the city of Aberdeen. If this ground-breaking project succeeds, the country will not only have vastly improved their energy security, they will also be seen as a pioneer in clean and renewable hydrogen fuel technology. It will be exciting to see what the future holds for this project and its implications on the Scotland economy. Hopefully the rest of the world can build on this example, and continue to set aside resources for similar clean energy projects. This is a very interesting developement. I have since long wondered why not more has been done in this direction instead of loading vehicles with heavy and expensive batteries / fuel cells or hybrid with two engines instead of one. As far as I am concerned, it cannot be the best alternatives to get away from fossil petrol engines. Hydrogen powered explosion engines are not much different from petrol-fed engines and with time will be just as readily serviceable. From an energy balance point of wiev, producing hydrogen by electrically splitting water molecules requires more energy than hydrogen produces. However, this is only a true concern when the wanted electricity is produced by means of fossil fuels (or by expensive and waste problem prone nuclear plants). When produced by wind turbines or PV installations, energy is free and it then becomes entirely an economical matter: For what price can hydrogen be sold on the market as compared to the investment’s financial aspects and operational costs. From a handling and storage safety point of view.Is this a real problem? NASA has handled hydrogen for decades. One should think that wanted safety aspects are well known. Reservoirs containing metallic “sponges” seem to do the trick, neutralising “explosive tendencies”. Also petrol spills can be dangerous! Chicken and eggs? Probably the real main issue. Hydrogen refuelling stations in numbers like petrol stations are a long way off, and as long as there is no market, they will not spread, and hydrogen powered vehicles will not grow in numbers as long as they cannot readily get hydrogen to fuel them. It is not the case with electric cars, a standard plug does the job which is lucky considering their autonomy, but just look at the limited extend of the LPG distribution network in spite of an established market. Time will tell, but without initiatives like the described Aberdeen case, nothing will ever happen, and only when sufficient public relation will eventually be applied. So, I wish this initaitive all the good luck it deserves.